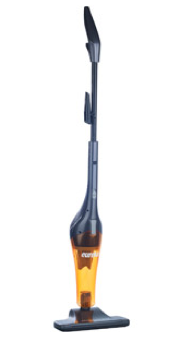 Eureka Airspeed 2-In-1 Stick Vacuum Only $15.49 + FREE Store Pick Up (Reg. $39)! You are here: Home / Great Deals / Eureka Airspeed 2-In-1 Stick Vacuum Only $15.49 + FREE Store Pick Up (Reg. $39)! WOW! Do not miss this hot deal on this Eureka Airspeed 2-In-1 Stick Vacuum for only $15.49 + FREE Store Pick Up (Reg. $39)! The Eureka AirSpeed is the first stick vacuum with AirSpeed Technology. The AirSpeed is engineered to move more air and remove more dirt for a deeper clean on bare floors. AirSpeed is engineered with an efficient air path that allows more air to pass through the vacuum, which results in more powerful suction and superior cleaning performance on bare floors.